Even if you have full- or part-time work to support you through college, making ends meet, cutting down on expenses, and saving money as a student is a difficult task. The temptation to spend is everywhere and household expenses are continuously on the rise. Both of these things make it very challenging for students to save, pay off debts, or just break even every month. Nevertheless, by adopting some proper and careful habits as part of student life, you’d be amazed at how much money you can save. You can save money by even making the most minor adjustments and before you render yourself a penniless, debt-ridden student stereotype. With a global student debt crisis looming on the horizon for many recent graduates, the best way to manage personal debts begins long before graduation. Developing healthy money habits while still in college will go a long way towards ensuring healthy financial habits for life. It’s not necessary to be rich to live rich when it comes to food. To enjoy good food, however, you will have to give up on attractive and greasy takeaways. You have to be strong to resist temptations. Fast and already prepared foods can be downright irresistible after a long day at university or after coming home late after school and work. Fighting the urge will be hard, but it’s not impossible. Try cooking healthy, tasty, and nutritious food in bulk on the weekends. On any day in the middle of the week when you’re home early or not feeling as tired as usual you can cook for another few days, this will last you for the whole week. In most countries, there are student discount cards for buses, trains, metro, and the tube. Usually, the cards give up to 50% off the regular fare. Buying a discount card will be an upfront investment. However, it’s an investment that will pay off big, especially if you’re a frequent user. Buy it once and you can enjoy free rides for the month or even a year. Before buying your discount card, make sure that you’ve researched which service is going to be the most feasible for you. Make sure you investigate timings, the length of the walk from the stops to your apartment and college, weekend schedules, and transferring rules. Find out if your local service charges extra or offers discounts for changing between tracks, lines, or routes so you’re not unpleasantly surprised later on. When there is an event out of town, or if one of your friends owns a car, do consider carpooling with your course mates. This works especially well if you’re living together. Carpooling will save you loads of money. It will also provide ease and comfort by taking you directly from your apartment straight to the campus car park. Carpooling also usually results in interesting conversations and even helps combat CO2 emissions. Weekend night outs or partying can be a lot cheaper and if you invite your friends over to cook together, watch movies, and play video games, board games, role play, or cards. Needless to say, weekend hangouts in your own home, or at a friend’s apartment, are usually a lot quieter, more comfortable, and more enjoyable. 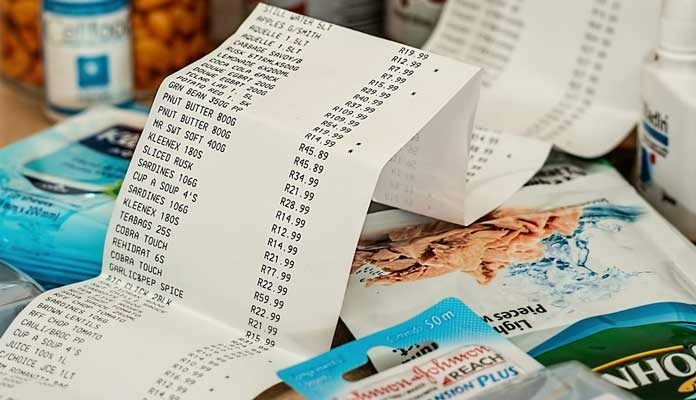 Do extensive research beforehand to determine your budget for groceries and other needed items. Sometimes there are exclusive in-store and online offers only for students. Find out if they exist in your town as well. Ask around and join local knowledge-sharing groups to take advantage of all the discounts offered to students. Also, try buying un-branded goods and see how it goes. They might not be packaged the same as a well-established, fancier, and more expensive brand, but you will save a lot every month by purchasing discount supplies. If you follow these tips you will be sure to start establishing healthy financial habits well ahead of graduation. Set yourself up for greatness, and reduced debts, by making lifestyle changes early on. Your healthy habits in young adulthood will help you reap the rewards for years to come. Previous articleThe Dos and Dont’s of Baby Massage – Give Your Baby The Best Experience! Is Cosmetic Surgery Really Worth It?